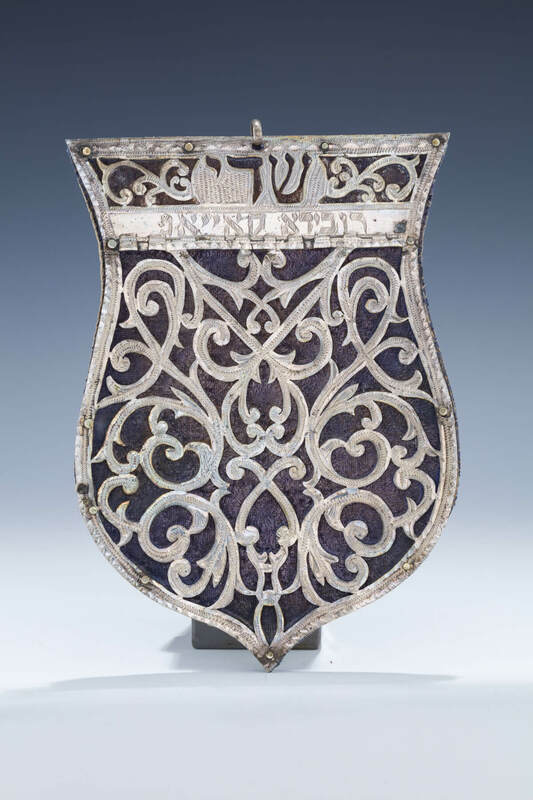 A SILVER AND CLOTH AMULET/MEZUZAH. Morocco, c. 1880. Hand cut lattice work applied to purple velvet board. Engraved with previous owner’s name. 8.2” tall.